All natural, aluminium free, roll on deodorant infused with the soothing aromatherapy benefits of lavender and white tea. 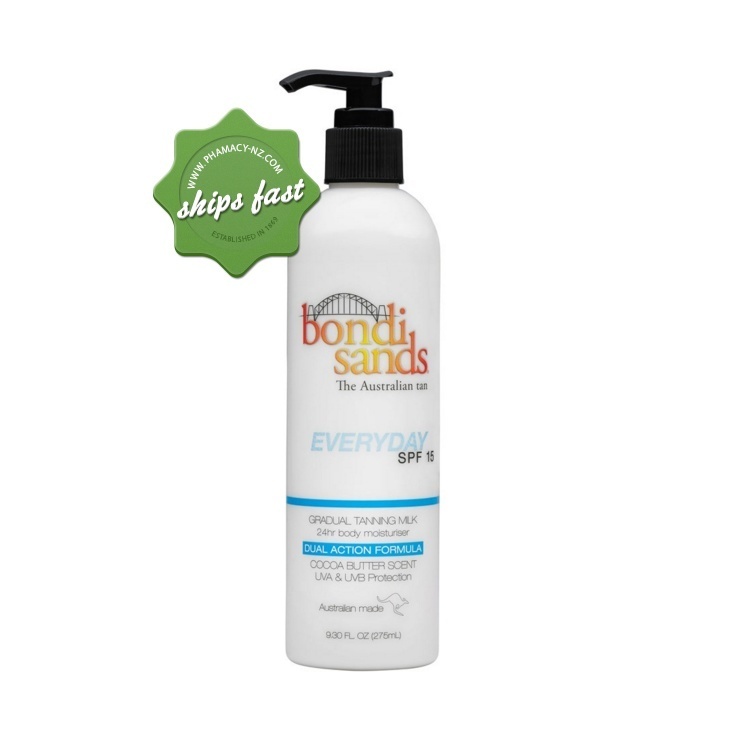 For a natural looking tan that gradually develops each day, use Bondi Sands Everyday Gradual Tanning Milk with SPF 15. Offers long lasting natural looking tan. Hydrates and protects skin from the sun. Helps make skin feel smooth and moisturised. Offers a natural looking tan that gradually develops into a deeper tan each day. Water, Dihydroxyacetone, Aloe Barbadensis Leaf Juice, Cocoglycerides, Bis-PEG-18 Methyl Ether Dimethyl Silane,Butyrospermum Parkii (Shea) Butter, Laureth-7, Isopropyl Palmitate, Glyceryl Stearate, Phenoxyethanol, Tocopheryl Acetate,Isobutylparaben, C13-14 Isoparaffin, Fragrance, Polyacrylamide, Ethylparaben, Cetyl Phosphate, Triethanolamine, Erythrulose,Methylparaben, Butylparaben, Propylparaben. Clean and dry skin prior to application. Apply gradual tanning milk evenly onto the skin in a circular motion. Wait until it dries completely before dressing. Use daily for 24hr moisturisation and to ensure a golden sun protected tan throughout the year. Avoid contact with your eyes. In case of eye contact rinse immediately with clean water. If swallowed get medical attention or contact poison control centre. Always read the label. Use only as directed.